Master Modeler Jack Burgess: Artist or Technician? Jack Burgess is a civil engineer by profession and a railroader by hobby. 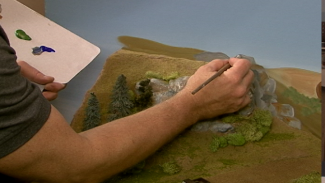 Some would say the two go hand in hand, as so much of what Jack has created on his scale model of Yosemite Valley Railway is a product of the skills he’s developed in his career. Whether it be his perfectionist dedication to historical accuracy or his ability to visualize and plan several steps ahead, Jack’s proficiency as a thinker and builder is undeniable. 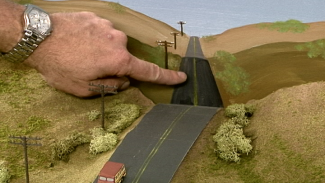 In this segment, host Allen Keller visits the workshop of the master modeler and engineer to find out what it’s like for people to take a tour of Jack’s expertly prototyped YV Railway. 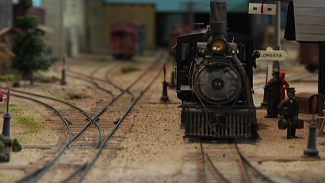 Jack talks about his personal benefits for duplicating a real railroad and tells Allen what he hopes visitors will take away from his layout. You’ll discover how Jack chooses to approach building a multi-level layout, and learn whether this expert builder considers himself more an artist or technician. Jack is one of the world’s finest prototype builders, so you don’t want to miss what he has to say about the hobby!